This was such a unique concept for a book, I was immediately intrigued by the synopsis and was eager to see where this book would take our main characters. I absolutely loved both Andrea and Isaac as characters and the stories that were built around both of them. What did bother me a bit was how their connection grew to be so strong. These two strangers on either side of a wall, in vastly different eras of humanity suddenly developed this strong connection with each other after very few ‘visits’. This confused me quite a bit and I wanted to know more about how their feelings developed from a handful of glimpses at the other person. However, please don’t let this opinion steer you wrong. Andrea and Isaac had a beautiful relationship once they were actually able to interact and they were an incredible duo. I just wanted more information on how they got to be this way. I felt for Nate the entire book. I wanted him to have a happily ever after so badly, it hurt and I couldn’t help but question Andrea’s decision to cast him aside like he was nothing after he’d been there for her every day, in all the ways Isaac couldn’t. Nate loved Andrea through everything, even when she didn’t, and he was such a marvelous character, I couldn’t help but feel a bit of resentment for her. The writing style was absolutely gorgeous and I was so captivated by her descriptions. I wanted this book to be longer and wished so badly for more detail in some places (especially about the nature of Isaac’s and Andrea’s emotions toward each other). Overall, I loved this book and I truly enjoyed the read. I won’t spoil the ending for you but I definitely recommend you check it out for yourself! This was the May, Adult selection for Once Upon a Book Club! Check out the full breakdown of the Adult box here! 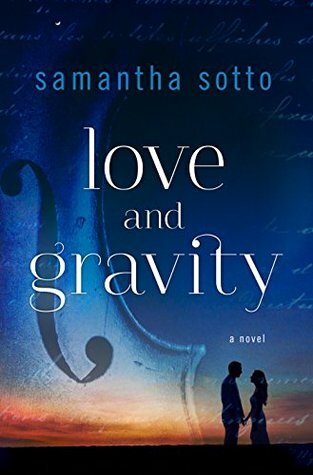 Highly recommended if you’re a fan of time travel, love triangles, or beautiful writing.